My work is informed by the Post-Modern therapies; Narrative, Brief-Solution Focused, and Collaborative. Post-Modern therapy is non-blaming and empowering. Briefly, the point of view is that you are not the problem; the problem is the problem. Traditionally, the therapist was the expert. The patient went to get the answers from the expert. It has been show that lasting learning takes place through a collaborative and experiential process. You are the expert in your life. Together we explore possibilities, find your strengths, and put you in touch with how to develop them. My approach focuses on emotions and relationships. Emotions are inherent — you cannot stop having emotions. You cannot deny or out think them. You can, however, develop a working relationship with them. Relationships are central to, and integral in, our lives. 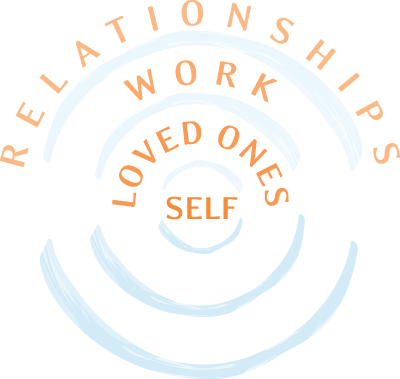 All relationships begin with the self and then circle out to our loved ones, our work, and even out into the world around us. In a sense, our relationships define the world in which we live. Mindfulness and meditation also play a key role in my approach. Mindfulness focuses on the separation between thoughts and feelings. The idea is that, by focusing on breath or sensation in the body, one can separate their thoughts from their feelings, which can be hugely beneficial in addressing certain emotions. Meditation is a practice to help increase mindfulness in everyday living. In just one session together, I can introduce you to the basics of Mindfulness Meditation, an invaluable life tool. I study and respect scientific approaches to psychotherapy, as well. For example, recent neurological discoveries are showing us that, through practicing certain patterns of thought — or breaking down old, and creating new, connections in your brain — one can literally change the way one’s mind works. I believe these types of discoveries are transforming the field of psychotherapy today and play a key role in its future.